When you make an offer to buy a house, you want the seller to take your offer seriously. So you offer a “good faith” deposit toward the purchase price. 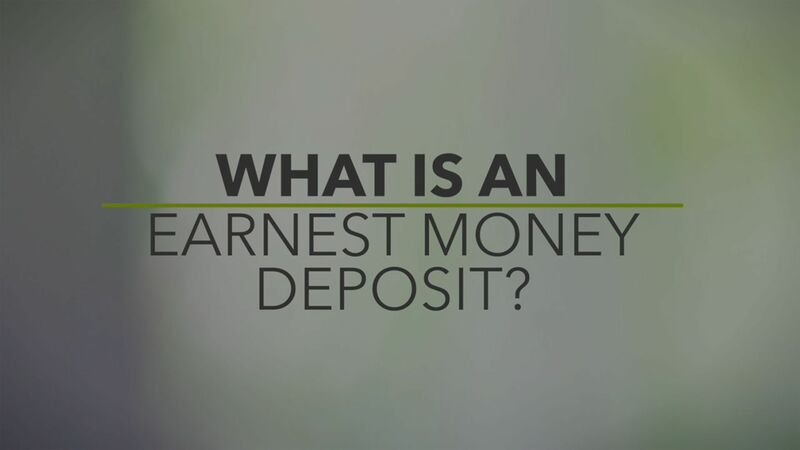 This is also referred to as the earnest money deposit. You are using this money to show the seller you are earnest (an old-fashioned word for serious) about buying their house. If the seller accepts your offer and the deal goes through, the earnest money will go toward the purchase of the house. So it becomes part of your investment in the property. If you back out of the deal, however, you could wind up forfeiting the earnest money to the seller. It’s more of a real estate tradition than anything else. But it does send a signal about you as the buyer. It says you’re not trying to waste anyone’s time, and that you are seriously interested in the property. In most cases, you would pay the earnest money when making an offer to buy a house. In fact, the exact amount should be spelled out in the contract. Earnest money deposits usually range between 1% and 3% of the purchase price. In some markets, the standard amount might be $500 to $1,000 — regardless of the purchase price being offered. There are no laws governing this, by the way. It’s more a matter of local custom and tradition. Your real estate agent is your best resource in this area. My advice is to follow the local custom when making your earnest money payment. Offer the average amount — no more and no less. That way, you won’t risk insulting the sellers. Nor will you have an unusually large amount of money on the line if you back out of the deal. Who holds onto the money when the offer is made? In Texas, the buyer gives the earnest money payment to an escrow or title company. The escrow agent will act as a middleman between the buyer and seller. This neutral third party is responsible for closing the deal and ensuring all funds are distributed properly. In closing, I would like to stress that the earnest money part of this process is mostly standardized. You shouldn’t spend a lot of time analyzing this. Just ask your agent what a standard deposit amount is for your area, and pay that amount when you make your offer. If you pay a lot less than the average good-faith payment, you risk having your offer rejected. If you pay a lot more than the standard amount, you risk losing more money if you back out of the contract. It’s simply a check in the box that’s needed to show the seller you are serious. So just pay the standard amount, include the appropriate contingencies in your offer, and move on with the process.